The Jimmie B. 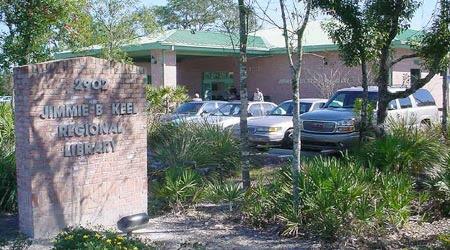 Keel Regional Library located at 2902 W. Bearss Ave., Tampa, FL 33618 completed an expansion project earlier this year. Included in that expansion is an area set aside for displaying art changing monthly. NTAL has been invited to exhibit 25-30 pieces of art for the month of February. We are sending out the first call to those members who have volunteered in some way in helping our organization thrive. There are no subject or size requirements for this show. If you would like to exhibit one piece of artwork in this exhibit, please forward your name, the title, size, medium and price to Carol Northington at cjn13@verizon.net by January 5th. We will send this call out to other members if we do not have enough artwork to fill up the show.